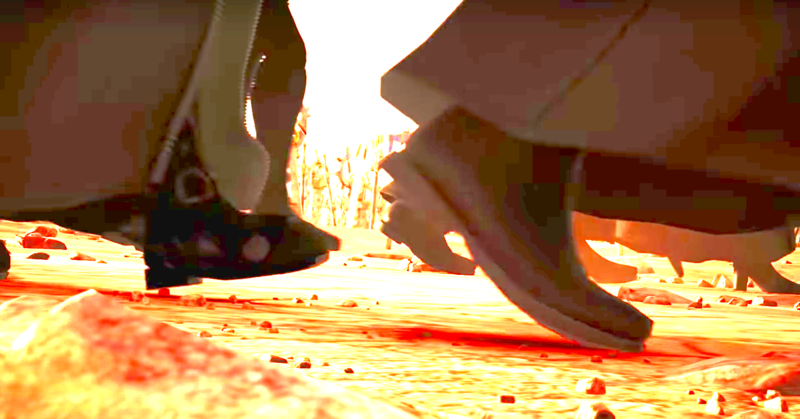 Does anybody recognize this boot? 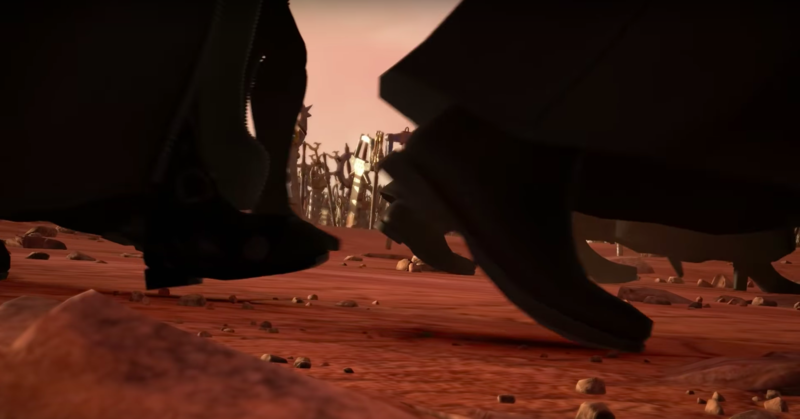 I was rewatching the keyblade graveyard cutscenes and noticed this. I looked through the character models in the game to see who it is, but didn't find any match. maybe the person who made this part did it by mistake and they'll fix it later with the dlc. A good portion of the org loses their cloaks during their final battles. 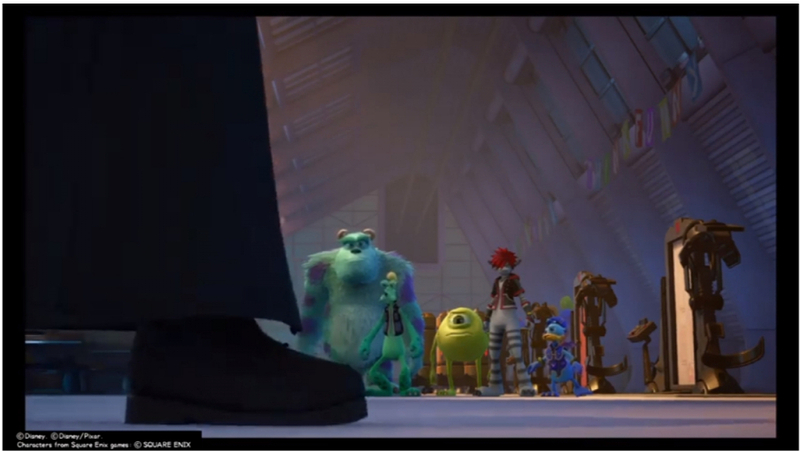 Those big booties most likely belong to Vanitas since he is basically Sora. I think the pair in the centre of the first image are Dark Riku's? 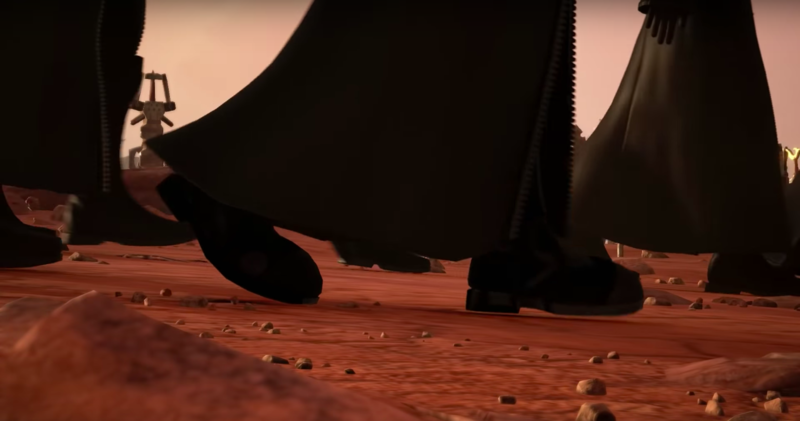 They've got that same general shape to them as Riku's KH1 shoes do: rounded, but not as emphasised as Sora's. Yep, it's Dark Riku's. I checked his model and they're the only one's rounded. 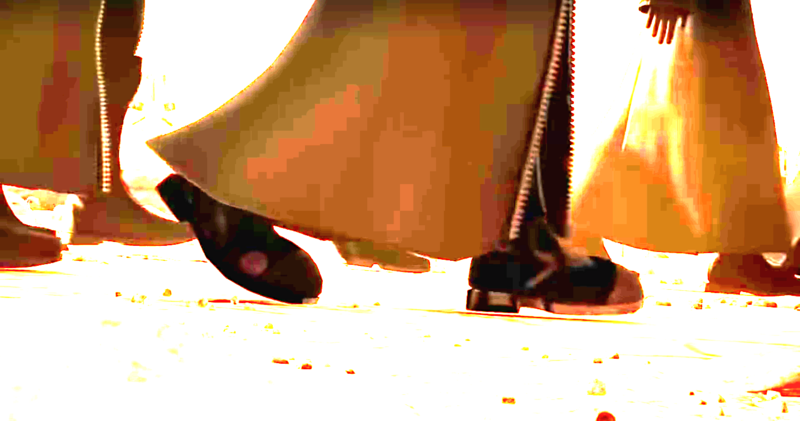 I tried adjusting the contrast ( I know nothing about adjusting picture lighting and what not, I'm sorry in advance) and if you notice there and some silver decoration or whatever, and the other picture shows a belt on the top part of the boot. and it doesn't match Dark Riku's or any of the other org members boots.